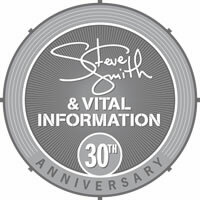 Steve Smith and Vital Information NYC Edition will hit the U.S. East Coast from April 3-14. The band features Andy Fusco (alto sax), Steve Smith (drums), Baron Browne (bass), Mark Soskin (keys), and Vinny Valentino (guitar). The band will visit DC, Wyomissing (PA), NYC, Boston, Woonsocket (RI), Hicksville (NY), and Newington (CT). Click here to get all the dates and ticket links! Steve wil join the iconic Dennis Chambers and the amazing Gergo Borlai (plus one more instructor) at Drum Fantasy Camp August 9-13 at Vic's Drum Shop in Chicago! The camp opens with a supercharged concert. Two drumming instructors will join James Genus (bass), Stu Mindeman (keys), Chrissi Poland (vocals), and Vnny Valentino (guitar). The next four days includes a full day with each of the four drumming instructors. In the evening, attendees get to sit in with the band during the camp's Jam Nights! Steve and the other instructors attend. On the final night, the camp closes with another amazing concert! The camp is open to attendees of all ages and playing levels. But space is limited. Click here to visit the tour page with the most up-to-date information! 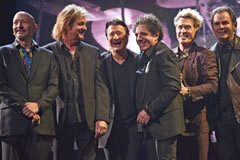 Steve and Journey played more than 60 shows all over the United States this summer! The band split most of its shows with Def Leppard, who put on an amazing show. Steve enjoyed seeing fans and also some old friends along the way! 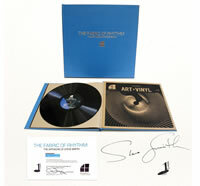 Steve's Pathways of Motion book and Fabric of Rhythm book/LP make great gifts! The pefect gifts for any drummer! 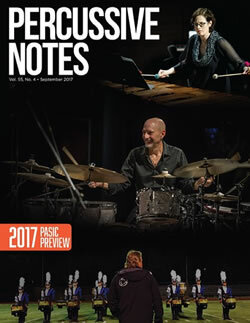 Steve is feature in the September, 2017, edition of Percussive Notes. The article is about big bands because Steve will be playing at PASIC with Airmen of Note - the top Air Force Big Band! They will be playing charts from the Buddy Rich book. Also at PASIC: Steve will be taking part in an event called The Percussion Exchange, a TED Talk-style presentation featuring lectures by Steve, Russ Miller, Steve Houghton, and So Percussion. 9.15.17 Heart of the City from Vital Information NYC Edition! Vital Information NYC Edition is back! Steve Smith's band, whose lineage goes back more than 30 years, has released it's burning new album, "Heart of the City." It features 12 tunes performed by six amazing musicians: Baron Browne (bass and vocals), Mark Soskin (piano and Rhodes), Vinny Valentino (guitar), Andy Fusco (alto sax), and George Brooks (tenor and alto saxes). Click here to order the CD directly from Steve - or click here to download from iTunes! All copies are signed and will be shipped immediately! And make sure to grab a copy of Vitalization plus Jazz Legacy 1 and 2 - each for just $10 PLUS a 10% discount when you purchase any two products in the store! 8.15.17 Modern Drummer Cover Story! Steve is the cover story for the September, 2017, Modern Drummer! The comprehensive story covers many aspects of Steve's current and past work with Journey, the new Vital Information album (Heart of the City), Steve's Pathways of Motion book, and much more! It also includes a comprehensive Q/A section! Go here to read the story! 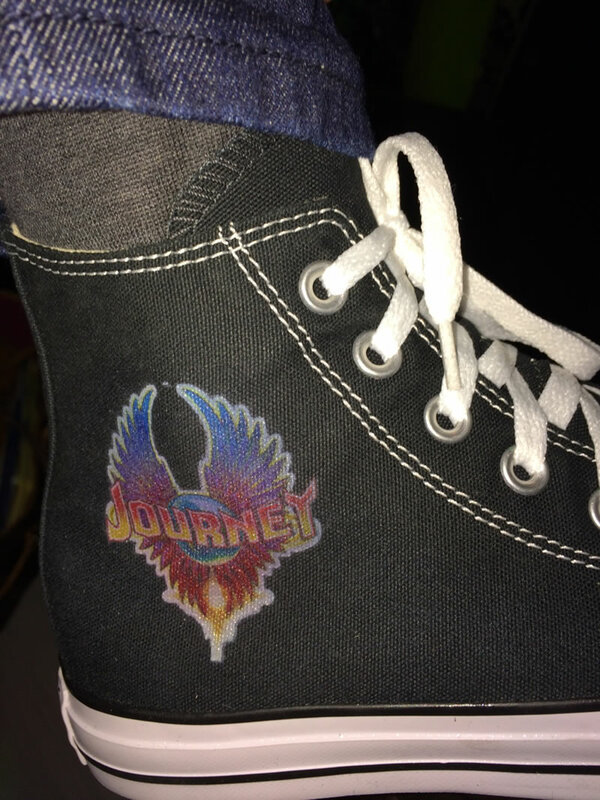 Go here to watch a great warmup exercise filmed backstage at a Journey show. MD even includes transcriptions of the warmup! 8.8.17 Drum Fantasy Camp Wrapup! 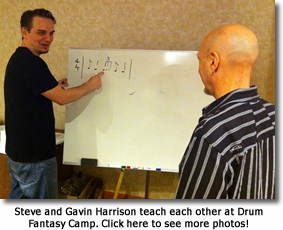 For the 8th year (nine total camps), Steve taught and performed at the annual Drum Fantasy Camp! 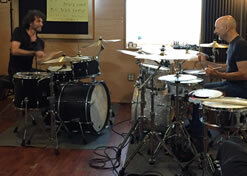 Steve was joined by instructors Will Calhoun, Todd Sucherman, and Simon Phillips! Steve did a split show with Todd Sucherman on the first night of the camp. The band included Jimmy Haslip (bass), Stu Mindeman (keys), Chrissi Poland (vocals), and Vinny Valentino (guitar/vocals). 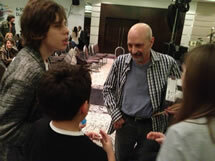 He then taught a master class the next four days while also joining in on fun jams in the evening! 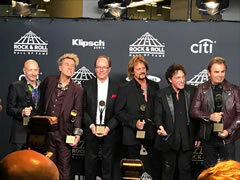 4.13.17 Rock and Roll Hall of Fame Induction with Journey! 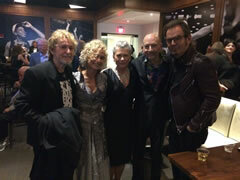 Steve enjoyed an incredible night at the Rock and Roll Hall of Fame inductions on April 7! 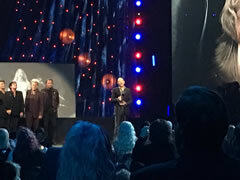 The ceremony honored Journey, ELO, Yes, Joan Baez, Pearl Jam, and Tupac Shakur. 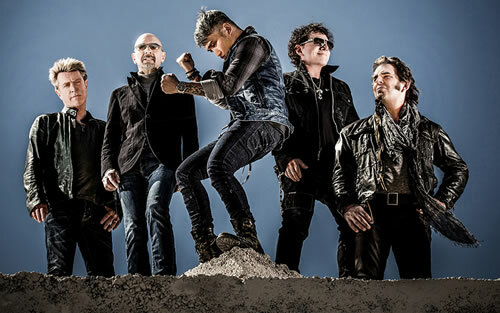 Pat Monahan inducted former Journey members Steve Perry, Gregg Rolie, and Aynsley Dunbar along with current members Neal Schon, Jonathan Cain, and Ross Valory. The band performed with lead singer Arnel Pineda with Rolie and Dunbar joining in! Steve gave a great speech that referenced his wide-ranging influences as a young musician. It's a great read. 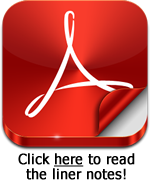 Check it out by clicking the PDF icon, below! Click the PDF to read Steve's speech! 3.29.17 Journey to Play with Fleetwood Mac in July! Check out this from the 2017 NAMM Show. Steve answers questions about his career, what motivates him, and much more! 3.20.17 Journey Summer Tour Preview! Here's a video of Steve and Journey rockin'! It also includes all the tour dates for the U.S. summer tour. Check it out! You can also see all the dates here. 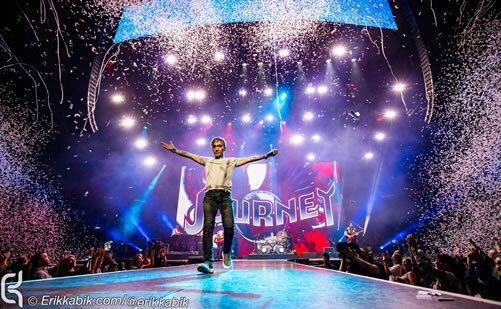 12.20.16 Journey Elected to the Rock and Roll Hall of Fame! Journey, Yes, Electric Light Orchestra and Pearl Jam lead the list of 2017 inductees into the Rock and Roll Hall of Fame. They’ll be joined at next April’s ceremony by folk legend Joan Baez and the late hip-hop star Tupac Shakur. 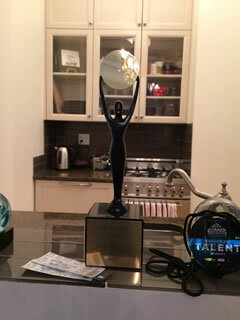 Nile Rodgers of Chic, who later had a sweeping impact on rock as a producer, will receive the Award for Musical Excellence – which replaced the sideman award. Ringo Starr is the most recent honoree; the E Street Band, Leon Russell and fellow producer Glyn Johns have also recently been recognized. Next year’s class was announced this morning. The 32nd annual Rock and Roll Hall of Fame induction ceremony is set for April 7 at the Barclays Center in Brooklyn, where it will be held for the third time. The event will subsequently be televised on HBO. 12.15.16 Fabric of Rhythm Book and Vinyl Release! Steve has a new book/LP based on his Scene Four art collection "The Fabric of Rhythm." The hardbound book showcases all of Steve's rhythm artwork and a look back at his career. The accompanying 12" vinyl features amazing drum solos representing each art piece! Only 250 in the edition! Go to www.stevesmithdrumart.com for details and ordering! 9.7.16 Steps Ahead "Steppin' Out"
Steve has long been a contributor to the inconic jazz group Steps Ahead. The band has a new CD / 2 LP coming out on Jazzline on September 16, 2016. The band features Mike Mainieri (vibraphone), Bill Evans (saxophones), Chuck Loeb (guitar), Tom Kennedy (bass) and Steve Smith (drums). 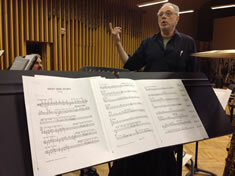 Joining the group on this album is the renowned WDR Big Band Cologne led by arranger and conductor Michael Abene. Check out this promo video from the tracking sessions! 7.20.16 Photos from the Road! Steve has been posting some cool photos from the road on Twitter and Facebook! Make sure to follow him there. Click photos to enlarge! 7.14.16 Steve Featured in DRUM! and Rhythm Magazine! Make sure to pick up the August issue of DRUM! Magazine and the July Rhythm Magazine! 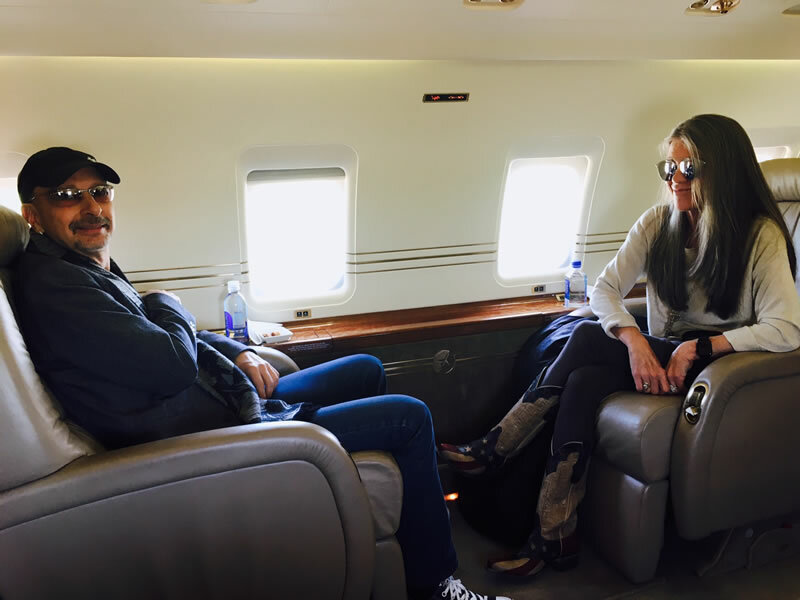 7.10.16 A Day In The Life on the Road with Journey! Steve took out his iPad and grabbed some footage during the band's stop in Cleveland! It starts at the aiport, continues in the hotel, and ends with a full drum solo at Blossom Music Center! Enjoy! 6.25.16 Sonor Journey Drumset Tour! 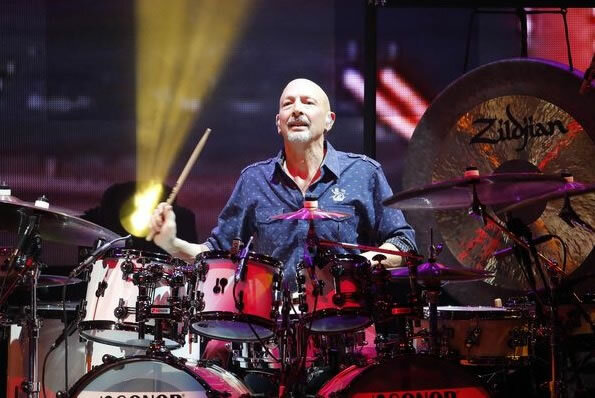 Steve takes you on a tour of his incredible Sonor kit - the one he's using on the 2016/17 Journey tour! Steve is releasing videos of his drum solos from Journey shows! These multi-camera videos give you a glimpse of the subtle evolution of Steve's solo ideas during the tour. Special thanks to Christian Grassart for editing these videos! Click here to open Steve's huge YouTube channel for these videos and much more! 5.14.16 Watch Steve and Journey Perform "Open Arms" on the Ellen Show! Steve joined the band for a special performance on the show. Click below to watch! 5.8.16 Watch Steve and the WDR Big Band in Germany! 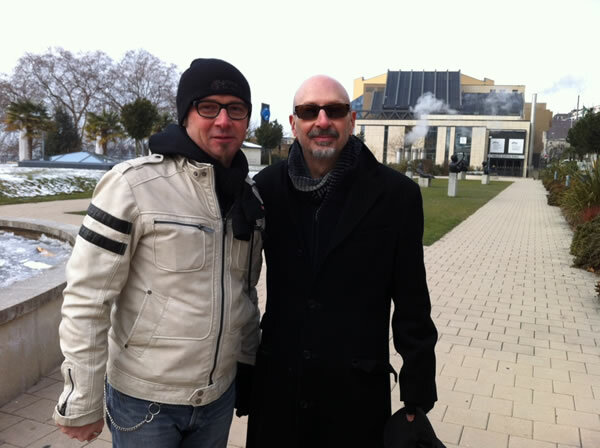 Steve recently joined Mike Mainieri, Chuck Loeb, Bill Evans, and Tom Kennedy for "Steps Ahead Meets the WDR Big Band" in Germany! It was an amazing show and experience. Click here to watch the entire show online! Drummer, author, and educator Daniel Glass sat down with Steve to talk about his return to Journey, and his books "Pathways of Motion" and more! 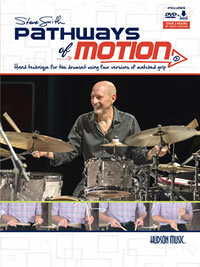 Based around Steve's current use and analysis of matched-grip drumset technique, the new book from Hudson Music, Pathways of Motion, presents a wealth of information! Video, text, and notation come together to clearly explain and demonstrate techniques to improve your playing. Join Steve for the release party in New York City! Steve will be there to demonstrate techniques from the book. He will conduct a Q&A session and sign copies of the book. There will be plenty of door prizes! 2.20.16 Steve Smith Art Reception in NYC March 17! 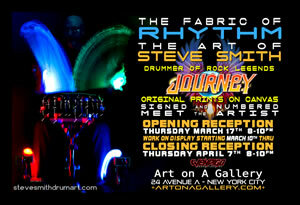 Steve Smith will unveil his amazing art collection, "The Fabric of Rhythm," in New York City this March! YOU are invited to attend the reception, which will include a tour of all the artwork and a discussion about the collection. The exhibition begins on March 10 and continues through April 7! This is an amazing opportunity to meet Steve while also viewing and learning about his art collection and how it was produced. And...several of Steve's newest products will be available at the gallery, including: the Pathways of Motion book/DVD, Viewpoint vinyl edition, and more! Click here to see the event on the gallery's Web site! See a preview of the art here! 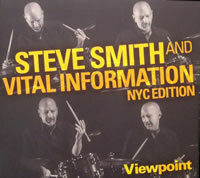 Viewpoint is the amazing new album from Steve Smith and Vital Information NYC Edition. The CD was released in May - and a special, limited edition vinyl edition is now available! 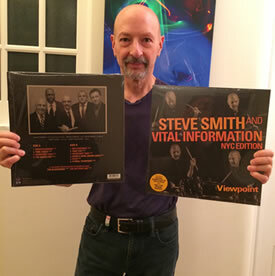 Steve Smith and Vital Information NYC Edition is the culmination of three of Steve Smith’s touring and recording bands known as Buddy’s Buddies, Jazz Legacy and Vital Information. Viewpoint features a combination of musical styles these groups have performed as well as three members from each of the bands. 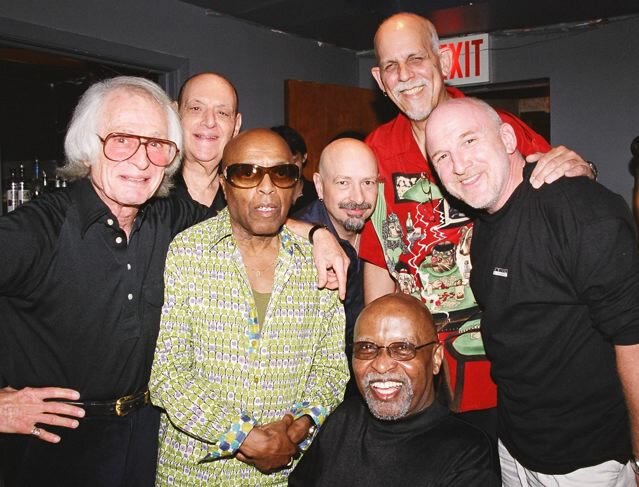 The band features Steve Smith, Baron Browne on bass, Andy Fusco on alto saxophone, Mark Soskin on piano and Fender Rhodes, Vinnie Valentino on guitar and special guest Walt Weiskopf on tenor sax. The CD features 12 eclectic tunes. Click here to learn more and purchase the vinyl edition! 11.24.15 Steve Smith Talks about Touring with Journey in 2016 and 2017! 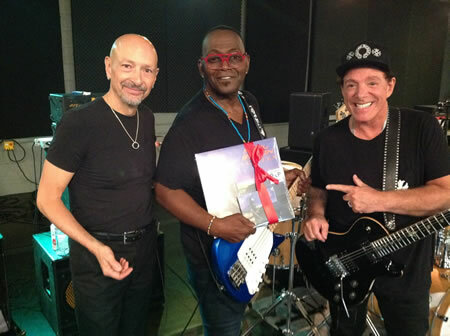 Many people know Steve's history with guitarist Neal Schon in Journey. But Steve has also appeared on several Neal Schon solo albums. 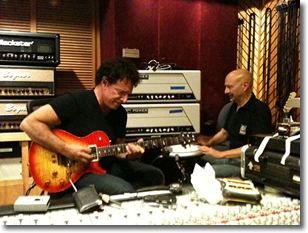 Neal and Schon have great chemistry every time they get together in the studio and on stage. But Steve also has a long history with bassist/producer Randy Jackson. 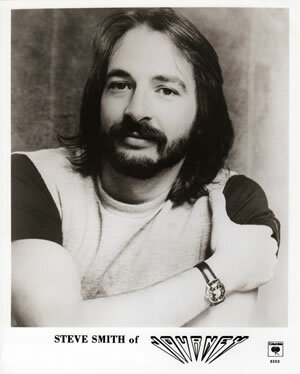 Steve and Randy worked together on jazz fusion projects in the '70s, and Randy actually introduced Steve to Tom Coster, the longtime keyboardist for Vital Information! Steve appears on the new Neal Schon release Vortex! The album is available here. 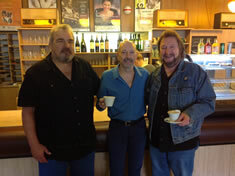 Steve, Neal, Randy, and keyboardist Igor Len got together recently to perform at CMO. The performance went so well that Neal got the band booked in Japan this February! Click here to see the dates! Keep and eye out for more video coming soon! Released on Q-rious Records. Get your copy here! 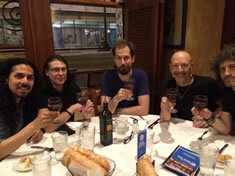 Steve joined Benny Greb, Mike Mangini, Jojo Mayer, and Dave Weckl at the 2015 Drum Fantasy Camp! The camp ran from August 7-11 at Vic's Drum Shop in Chicago. 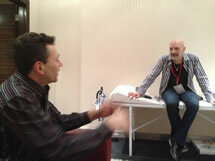 Steve performed at the opening concert and then taught master classes for four days. The concert featured Steve, Mike, and Benny sitting in with James Genus (bass), Stu Mindeman (keys), Chrissi Poland (vocals), and Vinny Valentino (guitar). 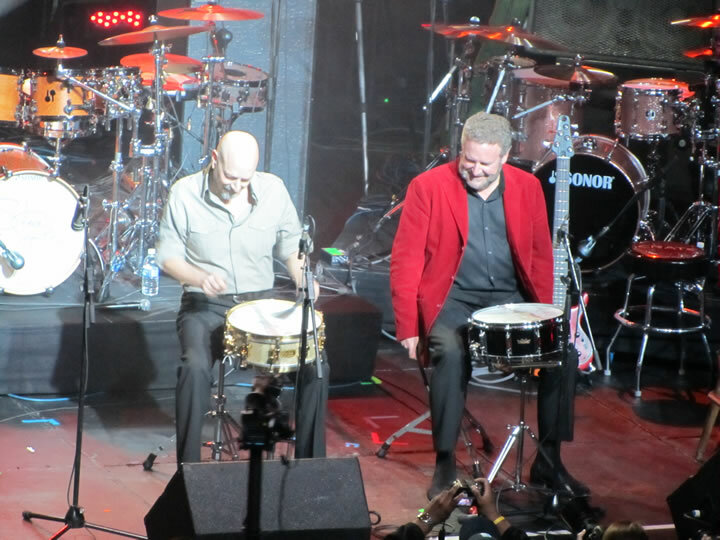 At the end of the show, Steve, Mike and Benny jamed together - and were then joined by Dave Weckl and Jojo Mayer for a snare drum performance of "When The Saints Go Marching In." You can learn more about the camp at www.drumfantasycamp.com . 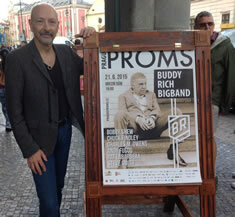 On June 21, Steve played drums for the Buddy Rich Alumni Big Band. The band was led by trumpet master Bobby Shew, who played on the recording of Buddy's "new" big band in 1966/1967 that included his original version of West Side Story. Other alumni who played at the concert was tenor saxophonist Pat LaBarbara, alto saxophonist Andy Fusco, tenor saxophonist Charles Owen and trumpeter Chuck Findley. 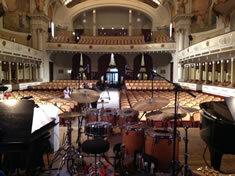 The band rehearsed for two days in Prague, Czech Republic and the performance was at the beautiful Smetana Concert Hall in central Prague. The show was sold out with more than 1,800 in attendance. 5.7.15 Vital Information NYC Edition: "Viewpoint" RELEASED! Click here to learn more and purchase the CD! Check out "Channel One Suite" from the recent Buddy Rich Alumni Big Band show in Albuquerque! Led by Bobby Shew, the band featured Steve, Pat LaBarbera, Andy Fusco, and Chuck Findley. Steve will join Mike Stern, Bill Evans and Tom Kennedy for a short tour in New York and Canada starting on June 25! This all-star band will hit Rochester, Gravenhurst, Montreal, and Saratoga. Check out all of Steve's upcoming gigs on the tour page! 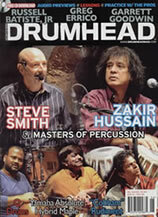 A recent edition of Drumhead features a great in-depth story about Steve and tabla legend Zakir Hussain. Steve and Zakir have played together in many projects. Steve is also joining Zakir at the upcoming Path of Rhythm camp. 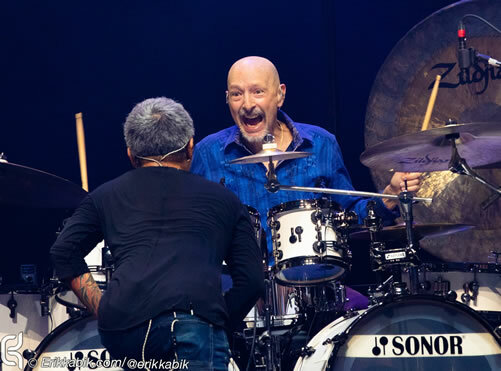 This Drumhead article digs deep into the special chemistry between these two masters. Those who follow Steve know that he has dedicated considerable time to faithfully studying this music. This article explains why Zakir and others have found common ground with Steve's drumset approach. Steve recently interviewed the great Zakir Hussain about the Masters of Percussion tour and also the upcoming Path of Rhythm camp. The interview is posted on Mike Dolebear's Web site. 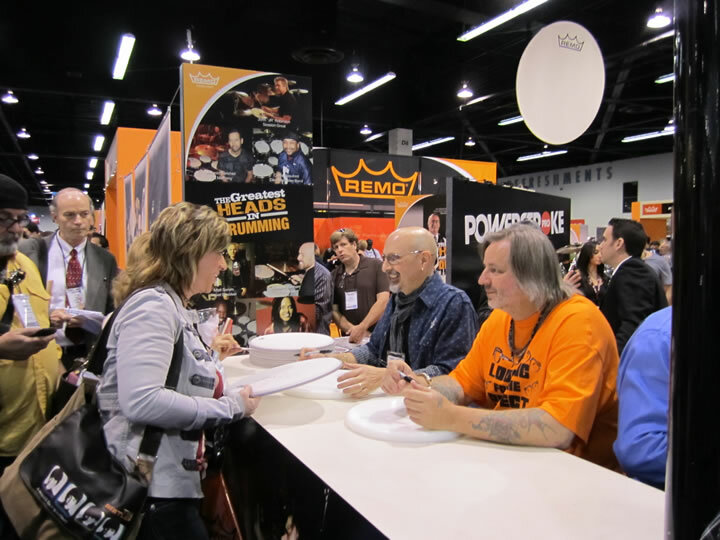 The 2014 NAMM Show in Anaheim, California, attracted more than 95,000 attendees. Steve made serveral appearances at the show, including serveral live gigs with Tom Coster, Frank Gambale, and Victor Wooten (for Korg)! 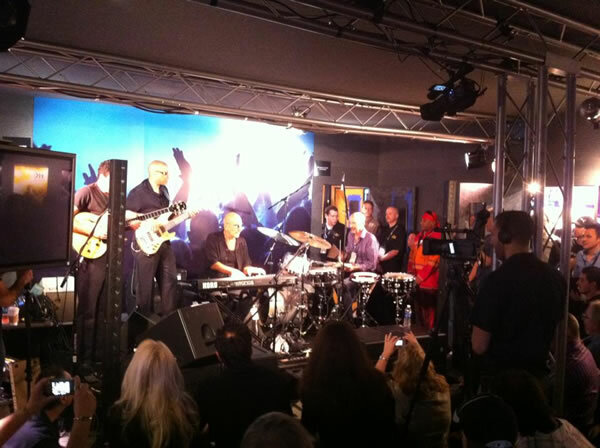 He also performed on the Sonor Martini Kit right in the Sonor booth! Check out the video, below! 1.9.14 Big News for 2014! Lots of exciting things coming up for Steve in 2014! 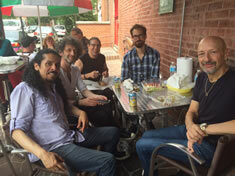 The special edition of Vital features Andy Fusco (alto sax), Walk Weiskopf (tensor sax), Mark Soskin (keyboards), Baron Browne (bass), and Vinny Valentino (guitar). They'll be releasing "The Skyline Sessions" studio album with live bonus tracks (BFM Jazz)! 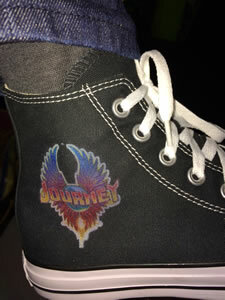 Steve is once again featured on the Journey guitarist's solo record - also featuring Jan Hammer (keyboards)! The tracks have been recorded and Neal is working on overdubs and mixing. 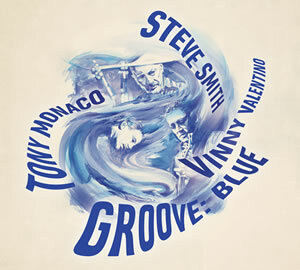 Steve will also release a B3 trio album he recorded with Vinny Valentino and Tony Monaco! 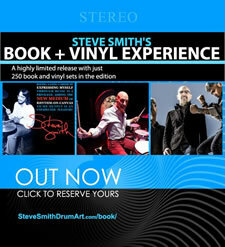 Steve and Hudson Music will release a book to accompany the award winning DVD Drumset Technique/History of the U.S. Beat. 1.8.14 Steve's Annual Top-10 List is Here! Steve is an avid music fan and he's always up on the latest music. Here is is annual Top-10 favorite records for 2013! "I enjoy putting together a Top-10 Fave release of each year. It’s a way of going over the music that I bought over the year and zeroing in on what I feel are the Top 10 strongest releases. I also base my list on which recordings I naturally gravitated to listened to the most. My listening is generally not dictated by the drumming. I need to be drawn to an album organically to listen repeatedly and many times the music I listen to has no drumming at all and there are couple examples of that on this list. 2013 had quite a few strong releases and some of the other recordings that I enjoyed but I didn’t include in this list are The Pedrito Martinez Group debut album, The Sirens by Chris Potter (with Eric Harland on drums) and Inspiration – A Tribute to Nat King Cole by George Benson. If there are any releases on my list that are of interest to any of my readers, I can recommend all of these recordings." The album that I’ve listened to most often this year is Conviction by The Kendrick Scott Oracle. The album is focused and tells a story from beginning to end. The writing is closer to a pop/rock concept record than a jazz record and that approach appeals to me. The group is outstanding with Taylor Eigsti (piano), Mike Moreno (guitar), Joe Sanders (bass), John Ellis (saxes) and Alan Hampton (vocals & guitar). Kendrick’s mature and compositional drumming guides and unifies the compositions throughout. Mark Guiliana’s grooving and adventurous drumming is featured throughout Casting For Gravity. Donny McCaslin’s captivating compositions and on-the-edge saxophone playing provide the focus for this group of players who are pushing the boundaries of jazz with their forward thinking playing and sonic palette. With Jason Linder keyboards and Tim Lefebvre on bass this quartet is on the front-line of modern jazz. I wrote about one of the outstanding tracks, “Stadium Jazz,” in a recent JazzTimes magazine article - click here to read it. Jazz vocalist Tierney Sutton’s tribute to Joni Mitchell is one of my favorite chill-out recordings of the year. Tierney inhabits the songs in a way that says that she understands their meaning as well as having the chops to sing them and take them to some new places. Seasoned accompaniment is provided by drummers Peter Erskine and Ralph Humphrey, Larry Goldings on organ and piano, Kevin Axt on bass plus some special guests including the Turtle Island String Quartet. I find Gadditude to be a strong and personal statement from one of my favorite drummers of all time, Steve Gadd. The group is called “The Steve Gadd Band” and this album truly has some wonderful interactive band playing; I can hear the years of time on the bandstand that these players have shared. The sound and mix is world-class, better than most new recordings. I love that Steve is so prominent in the mix, especially the cymbals, which is lot like the mixes of the Miles Davis albums with Tony Williams, to me that approach is a lost art. Most of the album has a meditative, introspective vibe and reminds me of mid-to-late 60s Miles, just around the time he started going electric: Miles in the Sky and Filles de Kilimanjaro. I love the band’s interpretation of some of my favorite Keith Jarrett tunes; they are quite different from the original versions. Another plus is that this recording is available on vinyl! 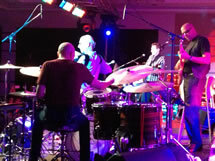 The Steve Gadd Band is: Walt Fowler (trumpet), Larry Goldings (keyboards), Jimmy Johnson (bass) and Michael Landau (guitar). Porcupine Tree is my favorite rock band these days so I was interested in hearing Steven Wilson’s solo project and it did not disappoint. The casting of the group is inspired with mighty Marco Minnemann on drums, Miles Davis alumni Adam Holzman on keys, Guthrie Govan on guitar, Nick Beggs on bass and Theo Travis on sax & flute. The reason that I enjoy Wilson’s concept is because he draws upon so many influences and blends them into a seamless and organic recipe. He isn’t afraid to take his time and allow a composition to build slowly with as many relaxed and open sections in the music as there are intense, dense sections. I find this musical approach is not present in most rock these days. For example in first tune, “Luminol,” he incorporates shades of UK, 70s Miles Davis, Crosby, Stills & Nash, Jethro Tull, Genesis and Pink Floyd. Marco Minnemann is in fine form throughout! This boxed set of music from drummer Chick Webb’s band is an important release and anyone wishing to know more about Chick Webb’s vital contributions to jazz and jazz drumming is advised to buy this product ASAP! Mosaic makes numbered, limited editions and this is one of their finest releases. (I have quite a few Mosaic boxed sets, including releases on Ahmad Jamal, Max Roach, Buddy Rich, Elvin Jones and Tony Williams.) There are 8 discs, the sound quality is excellent and the music is swinging! Also included are detailed and insightful liner notes by John McDonough. Many of the tracks highlight Chick’s swinging, supportive and innovative drumming -- you hear him clearly in the drum breaks and short solos. I hear the influence of the earlier New Orleans drummers like Baby Dodds in his playing but you can also hear him take those ideas into the future in ways that Gene Krupa, Jo Jones and Buddy Rich picked up on. Much of the focus of the boxed set is on Ella Fitzgerald, who Chick discovered at age 16. Ella is brilliant throughout! I had to learn the extraordinary music on Move, the follow-up to Hiromi’s last Trio Project album Voice. Throughout 2013 I had the pleasure of touring with Hiromi and contrabassguitarist, Anthony Jackson, playing all of the music on Move as well as much of the music on Voice. Hiromi’s music is complex and involved, with many of the compositions in odd-time signatures. The music is quite melodic with some tunes incorporating a “classical/jazz” approach and the album has a cohesive quality. 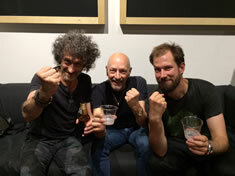 Subbing for regular Trio Project drummer Simon Phillips was no easy task but it was very rewarding and musically thrilling. Move is an excellent narrative and glimpse into a day in the musical life of this young keyboard genius. On Überjam Deux, Scofield picks where he left off with the original Überjam, and takes it up a notch. The funk is laid down mainly by Adam Deitch on drums, with Louis Cato playing drums on 4 of the 12 tracks. Avi Bortnick on rhythm guitar is stellar throughout with “Cracked Ice” being a standout. Andy Hess on bass and John Medeski on keys round out the group and John Scofield is inspired on his idiosyncratic melodies and nasty guitar solos. This is a fun record to jam along with! I saw Eldar play at a jam session after a jazz festival gig one night and was blown away! He’s an extraordinary virtuoso in today’s plethora of keyboard virtuosos. When he told me he was releasing two albums in ’13 I picked up both, the smoking jazz-fusion trio record, Breakthrough, and the solo piano album Bach, Brahms & Prokofiev. I’m no expert on classic music but I quite enjoy listening to Bach, Brahms & Prokofiev while on tour. The mood is relaxed, though the playing is complex, subtle and inspiring. 11.25.13 Give The Drummer Some! In Episode 34 of the Give The Drummer Some podcast, Steve talks about life before the drums, his early and modern influences, studying at Berklee, Vinnie Colauita, his time in Journey, Konnakol and Homeland! Such a great interview! Click here to listen! 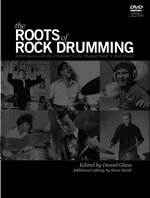 Hudson Music has released the book/DVD The Roots of Rock Drumming. Click here to learn more and order! Click here to read Steve's own story about the book AND listen to a podcast! Check out Steve's new video promoting his "Rhythm on Canvas" art. Steve sat down with Joe Crabtree to talk about his new book from Hudson Music called Roots of Rock Drumming. The interview is available as a podcast on Joe's Web site. In the podcast, Steve also talks about practice concepts, rhythmic singing (konnakol), drum art, and more. Steve is releasing his first collection of fine artwork created from rhythm! Only 100 pieces in the collection! Steve says: "I call my collection The Fabric of Rhythm because I feel that this art is a view into the inner workings of the motions I use to make rhythms. With drumming we hear only part of the motions that we make, and because the sticks and hands are generally traveling so fast, we don’t see all the motions being used. We hear the impact of the stick on a drumhead or cymbal, we don't hear the motions made in the spaces between the notes. The spaces in-between the notes are as important as the notes that we hear. With some percussion instruments like shakers or tambourines we do hear the entire motion and it's important that the motions are smooth and symmetrical, in order to get a grooving rhythm. To me, this means that the entire motion that you use with a drumstick is important. With the process that we used to make this art, you see both the impacts and the spaces between the notes, it's as if we are looking into the very fabric of the rhythms." Click here to get on the list and learn more! 4.1.13 Watch Full Vital Information Sets! 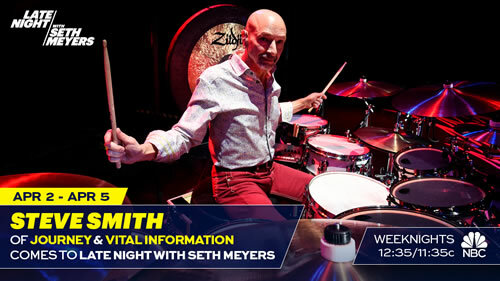 Steve and Vital Information NYC Edition recently played at New York's Iridium. The band featured Baron Browne (bass), Andy Fusco (sax), Mark Soskin (keys), and Vinny Valentino (guitar). Go here to watch! 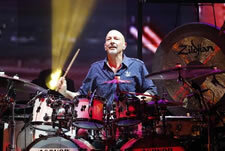 Steve will perform and teach at the 2013 Drum Fantasy Camp, August 8-12 in Cleveland, Ohio. He will be joined by Dave Weckl, Thomas Lang, and Aaron Spears! Steve will take part in the instructor roundtable, perform with ColorFunk (featuring Baron Browne, Vinny Valentino, and Chrissi Poland), and teach small classes for four days. 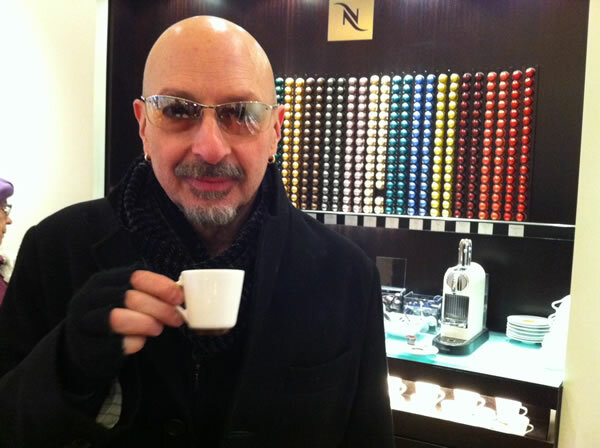 Steve will also join in during the camp's Jam Nights! The camp is perfect for drummers of all ages, playing levels, and styles! 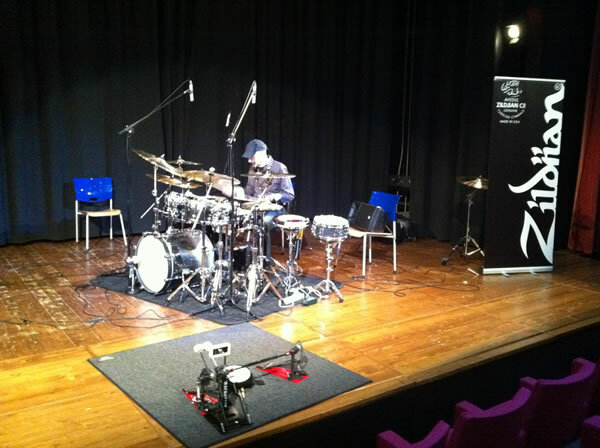 You can learn more and register at: www.drumfantasycamp.com. Hurry: space is limited! 2.26.13 Drum Guru Wins a Drummie! 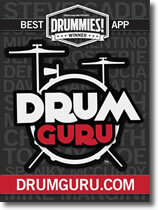 Drum Guru was recently voted "Best App of the Year" by Drum magazine! 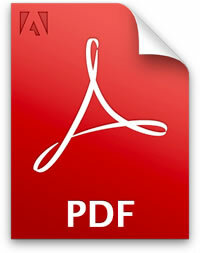 The announcement will be made in the April, 2013, issue. Drum Guru is an educational app for drummers of all ability levels - beginner to pro - which delivers the highest quality educational content from some of the world’s best known drummers. Currently, they offer lessons from drumming legends such as Steve Gadd, Steve Smith, Mike Portnoy, Chad Smith, and more. Click here to learn more and download Steve's lessons! 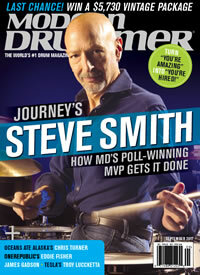 Steve Smith just wrapped up his seventh appearance at Drum Fantasy Camp! This time, the camp was in Ankara, Turkey, and Vital Information came along for the ride! 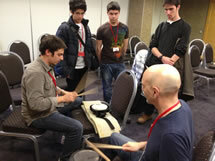 Steve joined Thomas Lang, Jojo Mayer, and Teymuralp Merter Fosforoglu as an instructor at the camp. Baron Browne, Chrissi Poland, and Vinny Valentino ran the opening concert and nightly jams. And...Tom Coster joined to complete Vital Information for the closing concert! Tom also joined the nightly jams. Steve will teach and perform at the American camp August 8-12 in Cleveland. 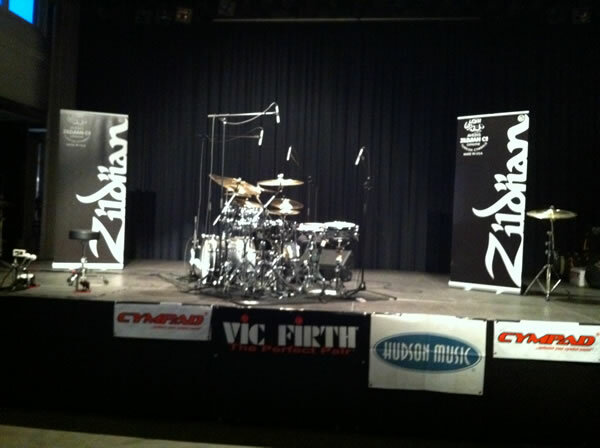 You can learn more at www.drumfantasycamp.com . 1.16.13 Steve's "Top 11" for 2012! Happy New Year everyone! Steve took some time to write up his "Top 11" recordings for 2012. Check it out for some great listening ideas! My"Top 11" Favorite Releases of 2012! These are the new recordings I listened to the most in 2012. My listening was not “drummer based,” but based on the overall presentation – music that is enjoyable and inspiring to listen to at various times of the day. That being said, I usually listen to records that have no drumming at all, or that have great drumming on them. This list includes some albums with inspired drum performances. Robert Glasper (keyboards), Chris Dave (drums), Derrick Hodge (bass), Casey Benjamin (sax & vocoder) + various vocalists. I have listened to Black Radio more than any other new release in 2012. The vibe is very hip and the grooves are amazing. Chris Dave plays some of the most modern, interesting and funkiest drum parts I’ve heard in a long time. 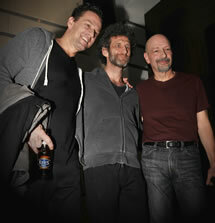 Brad Mehldau (piano), Larry Grenadier (bass), and Jeff Ballard (drums). "I love great keyboard players and Brad Mehldau is a modern master. To me, Where Do You Start comes from a space that used to be solely occupied by the Keith Jarrett Trio (with Jack DeJohnette and Gary Peacock) but this new release satisfies my desire to hear simpatico piano trio interpretations of great compositions. Larry Grenadier (Larry was the bassist in Vital Information in the late 80s and plays on our album, Vitalive!) 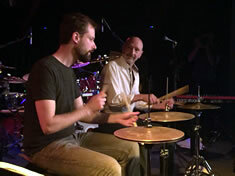 and Jeff Ballard are the complete jazz rhythm section.They provide both elastic support and intuitive interaction with Brad - a perfect combination. 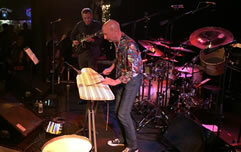 Hiromi (keyboards), Simon Phillips (drums), Anthony Jackson (contrabassguitar). Hiromi is one of the most profoundly talented and dynamic performer/pianist/artist on today’s modern music scene. I have the distinct pleasure of being Simon Phillips’ sub on this gig. Hiromi’s "Trio Project" is the preeminent jazz/fusion power trio on the planet! This group must be experienced live to be fully appreciated. This piano trio is closer to Return To Forever than the Keith Jarrett Trio. "Move" is Hiromi’s latest release. It came out in Europe in 2012 and will be released this year in the USA. When we play live, we play all the music from "Move." I can tell you from experience: this music is VERY difficult to play and has taken me many hours of work to learn and memorize. I have a new appreciation for Simon Phillips’ musicianship because he has created all the brilliantly imagined and realized drum parts for this music – no easy task. If you enjoyed Hiromi’s 2011 recording, "Voice," as hard as it is to imagine, she has taken her writing and playing up several notches with "Move." Gregory Porter (voice), Chip Crawford (piano), Aaron James (bass) Emanuel Harrold (drums), Yosuke Sato (alto sax), Kenyon Harrold (trumpet), Tivon Pennicott (tenor sax). Gregory Porter is a new singer on the jazz scene and has a vocal sound that has made him quite an “overnight” success. I can see why. His music, which is mainly his own original compositions, is quite interesting and engaging with excellent melodies and mature lyrics. His band is top notch and Gregory gives them a lot of space to stretch out. Lionel Loueke (guitar and vocal), Mark Guiliana (drums), Robert Glasper (keyboards), Derrick Hodge (bass). I first saw Lionel play as Herbie Hancock’s guitarist when Vital Information opened up a show for Herbie. His new album, "Heritage," is a unique, modern and mature statement. Mark Guiliana is one of my favorite young drummers and he sounds fantastic here. The album is co-produced by keyboardist Robert Glasper, which I’m sure helped to keep the recording very hip and modern. I recently saw this band live and they took the music from this recording to some incredible improvised heights. Keith Jarrett (piano), Jan Christiansen (drums), Jan Garbarek (sax), Palle Danielsson (bass). "Sleeper" is a live concert from Keith Jarrett’s European Quarter that was recorded in 1979. Words that come to mind while listening to this double CD are “inspired,” “uplifting,” “uninhibited,” “expressive” and “adventurous.” This recording is truly a gem. Jan Christiansen was always one of my favorite drummers in my early-mid 70s formative years. His playing on "Sleeper" is wonderful. Mark Soskin is one of my favorite composers and arrangers and "Nino Rota" is one of his best albums. Mark and I have played together since 2000 when he became the pianist in my Buddy Rich tribute group, "Buddy’s Buddies," and we’ve continued to work together since then. Mark wrote and played the music in my Hudson Music DVD "History of the U.S. Beat." He has toured and recorded with my band, "Jazz Legacy," and recently has been playing in my latest group "Vital Information NYC Edition" (VI NYC Edition has a new release coming out in 2013). "Nino Rota" gets a lot of play in my home and is also a favorite of my wife, Diane. The album’s concept is using the music written by Italian composer, Nino Rota (1911-1979), who is best known for his film scores -- and arranging the music for solo piano. The album has a spontaneous quality and sounds like it could have been completely improvised. The performances have a lot of heart and emotion and the album makes a complete and coherent statement from beginning to end. Ringo (drums and voice), George (guitar and vocal), John (guitar and vocal), Paul (bass and vocal). I love The Beatles and, as a vinyl collector, I’m always visiting various record stores around the world looking for pristine copies of Beatles albums. Now, that search is over with the release of this Stereo Vinyl Boxed Set that includes every Beatles record plus two bonus records! Later this year, when the Mono Boxed Set is released, I will be picking that up too. I recently read engineer/producer Ken Scott’s excellent book "From Abbey Road to Ziggy Stardust," (Ken recorded the Beatles as well as Mahavishnu, Cobham's Spectrum, Jeff Beck, etc.). In his book, Ken reveals that the Beatles, themselves, didn’t take stereo seriously until they recorded "The White Album." Jimmy Page (guitar) Jason Bonham (drums) Robert Plant (voice) John Paul Jones (bass and keyboards). "Celebration Day" features John Bonham’s son, Jason, playing an amazing live set with Led Zeppelin in 2007. The band is well rehearsed and Jason’s groove is wide, relaxed. With Jason’s interpretation, which is very close to the well-known versions his father recorded, he somehow manages to bring more attention to, and highlight, the deep pocket of Jimmy Page and John Paul Jones. One the great features of this package is the very well edited concert DVD. I’ve always loved Led Zeppelin since their first album. I even got to see them live in 1972, but I found this live 2007 concert to be a revelation. Steve Smith (drums and konnakol), Tom Coster (keyboards), Baron Browne (bass), Vinny Valentino (guitar and voice). I was happy to have a new release in 2012 from my group, Vital Information, and can listen to this recording often and still find it interesting; a good sign! This package is the beginning of our 30th Anniversary Celebration (the first Vital Information recording was released in 1983). "Live! One Great Night" is a documentation of an inspired live set, which was webcast at the time. We were not focused on fact that we were doing a webcast as we played.We simply communicated with each other on stage and, as a result, the performances were exciting and free. I was quite pleased to have recently discovered that there was a recording of that 2007 concert and, a few months later, we found a video too! The video is a low-res black and white version of the webcast but, nevertheless, it’s fun to watch, and we included the video in the package for free. Steve has reduced prices on all the DVDs available in his online store! Click here to shop for great instructional products at great prices! 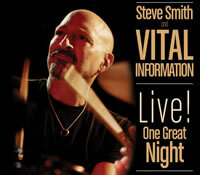 Examiner.com posted a great article about Steve and Vital Information's new live album - Live! One Great Night. Click here to read it! 9.30.12 Neal Schon's "The Calling"
Click here to order it on iTunes. Drum Guru delivers drum lessons with high-quality video and audio, coupled with music notation and unique practice features so drummers can use the app in the practice room. These tutorials are grouped into “packs” that you can download from the catalog. Currently, they offer lessons from drumming legends such as Steve Gadd, Steve Smith, Mike Portnoy, and Chad Smith, with many other artists coming soon. 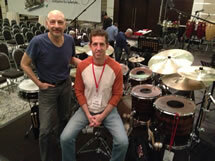 Steve joined Keith Carlock, Peter Erskine, Will Kennedy, and Dave Weckl at the 2012 Drum Fantasy Camp. The camp took place August 9-13 in Cleveland, Ohio. 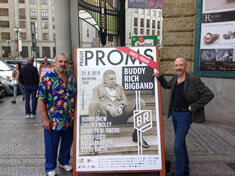 Steve and staff opened the camp with a blowout concert at Cleveland's House of Blues. They performed with an all-star band consisting of John Benitez (bass), Josh Dion (keys/vocals), Oli Rockberger (keys/vocals), and Vinny Valentino (guitar/vocals). The next four days consisted of two three-hour classes per day and jams in the evening. Steve hooked up with camper Arun Kumar and drummer Will Kennedy for a fun Konnakol jam (see below). 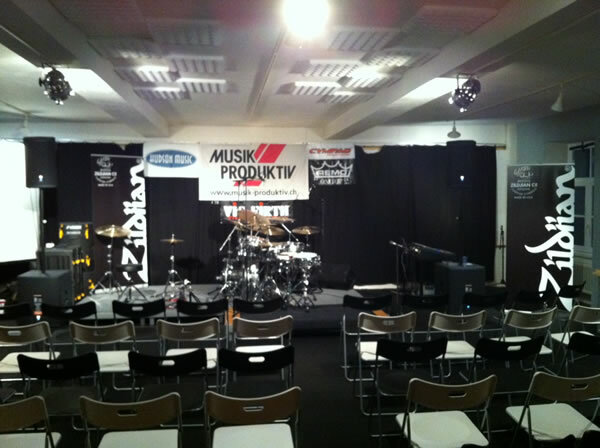 Check out www.drumfantasycamp.com for information about upcoming camps! 6.7.12 30th Anniversary Tour and CD Releases! Over the next two years, Steve Smith and Vital Information will be celebrating the release of its first recording. Entitled Vital Information, the Columbia release came out in 1983. The festivities began with the release of a new album and DVD package called Live! One Great Night. The USA release was on May 29, 2012, on the BFM Jazz label. You can purchase the combo package here for just $15! The album was also released in Europe on Q-Rious Music on August 24 (with a different cover). The 30th Anniversary Tour is under way in the U.S. VI will also tour Europe in Late October/Early November. Click here to see the tour dates! Additionally, the band will release two more albums in 2013, including a live album and a studio album that were both recorded with the "NYC Edition" of VI last November. Steve and Vital Information will continue to tour in 2013. Get ready for lots of new activity from SS&VI! Here's a short article about the project in Jazz Times! After a very exciting and musically rewarding week playing with Hiromi and Anthony Jackson at Marians Jazzroom in Bern, Switzerland - one of the nicest jazz spaces in the world - Steve went on a clinic tour of Switzerland. The tour was a total success with packed houses everywhere. 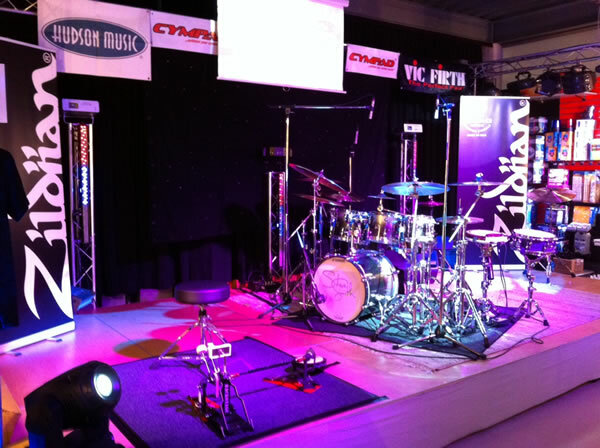 Organized by the Swiss Zildjian Cymbals distributor, Olar Music, the tour also had the support of Sonor Drums, Vic Firth sticks, Remo heads, Puresound snare wires, DW Pedals, Hudson Music, and CymPad cymbal felts. Danny Zimmermann, from Olar Music, did an excellent job driving the van and taking care of advancing the dates, setting up and breaking down the drumset each day. The weather had been extremely cold, but that didn't stop the people from coming out to attend the clinics. 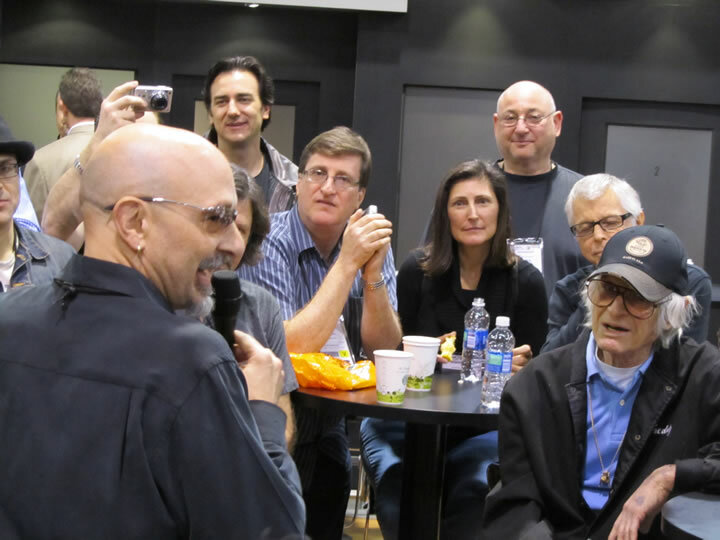 This year's NAMM Show attracted more than 90,000 attendees, including manufacturers, merchants, and musicians! 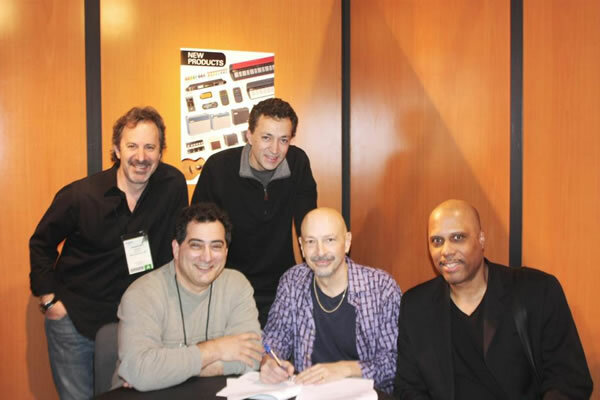 Vital Information played several sets at the Korg booth, and Steve and Vital Information signed a deal with BFM Digital to release "Live: One Great Night." The release date is May 15 (June 1 in Europe). The band will tour Europe in late October/November! Stay tuned! 12.23.11 Steve's "Top-10" for 2011! Steve bought many excellent new releases in 2011. These are the albums that he found both enjoyable to listen to and inspiring to his creativity! What albums inspired you? Tell Steve on his Facebook page! A fantastic compilation with some exceptional choices of amazing performances from Art Blakey, Joe Morello, Gene Krupa, Philly Joe Jones, Elvin Jones, Billy Higgins, Jack DeJohnette, Tony Williams, Chris Dave, Lewis Nash, Bill Stewart, Ignacio Berroa, Max Roach, Roy Haynes and Buddy Rich. Prices Reduced on all CDs and DVDs! Steve has reduced most CDs to just $15 and most DVDs to $39.95 (or less)! Click here to open the Steve Smith Store. GREATEST HITS VOL. 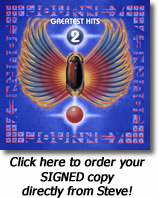 2, a brand-new collection of original recordings by the mega-platinum band Journey will be available as a single CD, digital download, and special gatefold double-vinyl edition (which includes a code for a free digital download of the vinyl remastered album), available starting November 1, 2011. This new package from Columbia/Legacy, a division of SONY MUSIC ENTERTAINMENT, spans singles and album tracks recorded between 1978 and 1996. 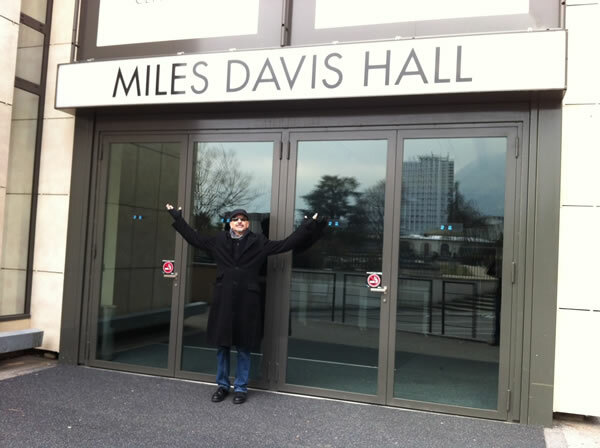 On November 6, 2011, Steve performed at the "World’s Greatest Drummer Concert." 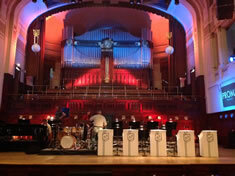 The concert was a tribute to Gene Krupa, Buddy Rich, Louie Bellson and Joe Morello. To see Steve’s personal videos of "Time Check," "New Blues", and "Nutville" filmed with Steve's Zoom Q3 HD, click here. Steve enjoyed playing with all of the fabulous musicians at this event. 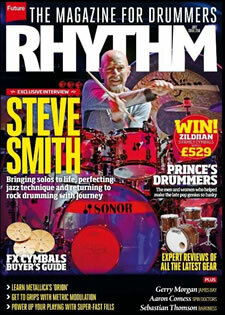 Steve was recently interviewed for articles in Rhythm and Batterie magazines. Click the links, below, to read them! Steve is featured in a new Vic Firth ad. Steve is a longtime Vic Firth endorser and has played a key role in the development of signature products including his signature sticks and the VERY popular Tala Wands! 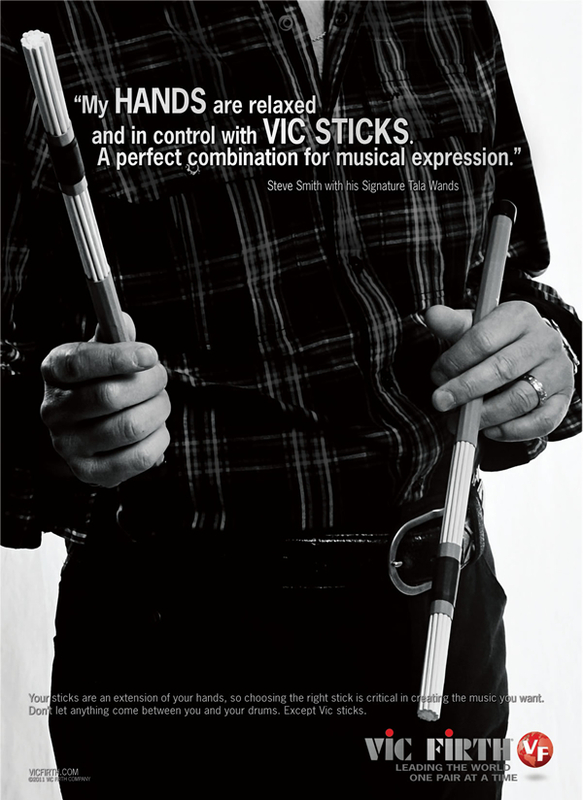 Click the ad to enlarge, and click here to learn more about the Vic Firth products that Steve uses. 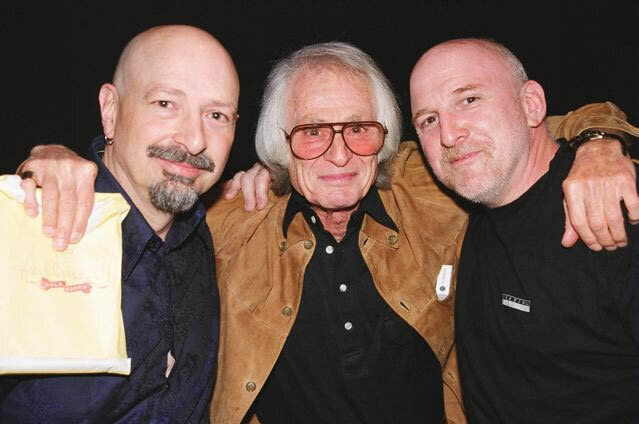 "My good friend and mentor Freddie Gruber passed away on Tuesday, October 11, 2011. 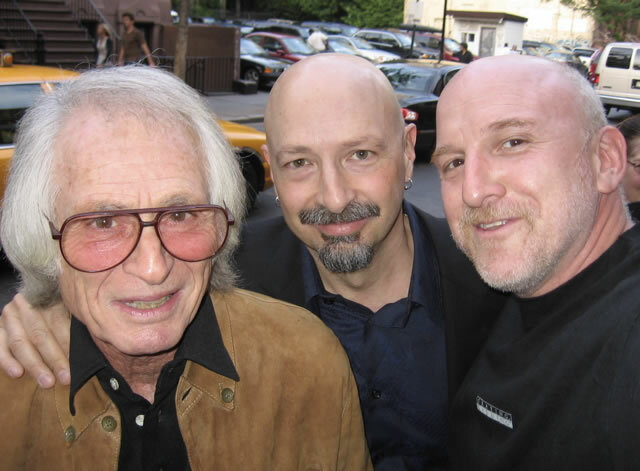 Even though I had been recently talking with Freddie and knew his passing was inevitable (his health began declining a couple of months earlier), when Adam Nussbaum called me that night with the news, I was deeply saddened. Freddie was full of life, had great wisdom, and was mentally sharp right up until the end. It was always inspiring to speak with him about music and life in general. 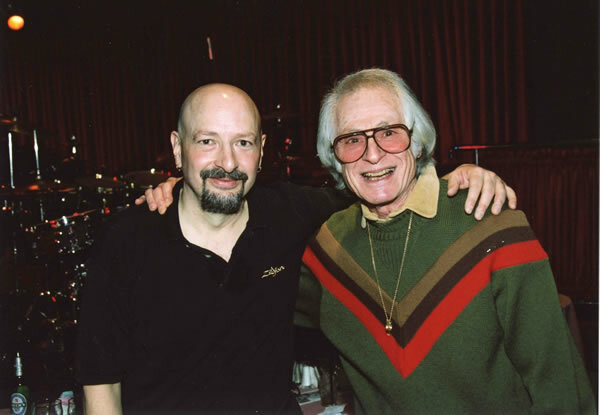 He was my link to the history, heart and soul of jazz, and was able to expertly guide me to become a better drummer and a better musician. As he got older I know he appreciated each day that he lived and every time we spoke he would reminded to take a moment and give thanks for my talent, my great relationship with my lovely wife Diane, and the career I have developed. Steve and Vital Information performed at the Red Sea Jazz Festival on August 23 and 24. Steve conducted a drum clinic on the 24th. 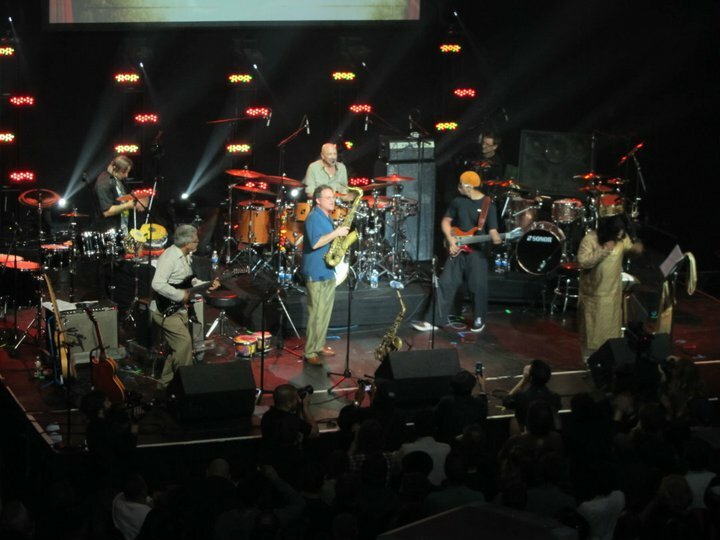 Other acts included Avishai Cohen, Pedrito Martinez, Jason Lindner, Diane Reeves, and more. Click here to view more photos on Steve's Facebook fan page! 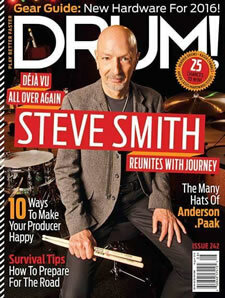 Steve performed and taught at the 2011 Drum Fantasy Camp, which ran from August 11-15 in Cleveland, Ohio. 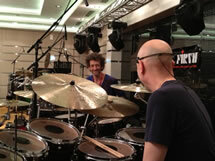 He joined Chris Coleman, Peter Erskine, Gavin Harrison, and Dave Weckl. Steve took part in the instructor roundtable, performed with the Mike Stern Band (featuring Tom Kennedy and Bob Franceschini), and taught master classes for four days. 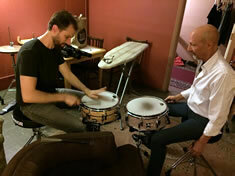 Steve also joined in during the camp's Jam Nights, including a fun jam with the great Sivamani (from India). 7.20.11 Steve Featured in "Something Else!" Steve was recently featured in a two-part article on SomethingElseMusic.com. The article covers various topics spanning Steve's dynamic career, and features lots of photos and YouTube videos. 7.18.11 Hiromi/Anthony Jackson/Steve Smith Videos Popping Up! Steve has a new video on his YouTube Channel devoted to "stick-on-stick" techniques for getting interesting sounds on the drumset. Check it out - and click on the PDF link (below) to see some examples that were published in Rhythm. Steve has added a new video to the Steve Smith Channel on YouTube. 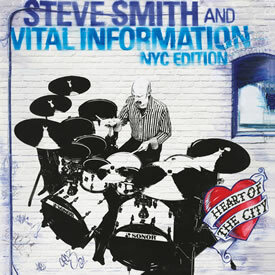 The latest video features Steve Smith and Vital Information - NYC Edition performing Interwoven Rhythms Synchronous. The video features Steve, Andy Fusco, Mark Soskin, Baron Browne, and Vinny Valentino. Click here to watch! Steve and the band will headline the incredible Red Sea Jazz Festival in Eilat, Israel. 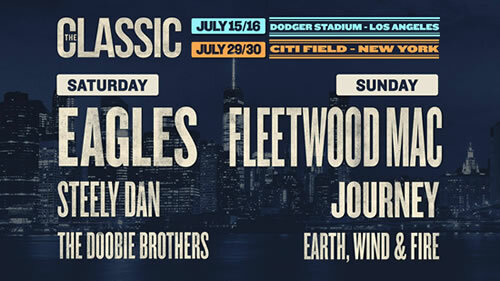 The band will perform on August 23 and 24. Steve will also do a drum clinic on August 24. Click here to visit the Red Sea Jazz festival Web site for more information. 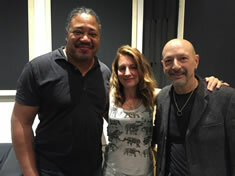 Steve will join legendary bassist Anthony Jackson in support of Hiromi's new album Voice. The band will tour throughout Europe and the USA beginning on June 15. Click here for all the tour dates! Steve and Vital Information were recently featured in Seattle's Jazz Music Examiner. Click here to read the story! Also, check out this short article from Steve's recent trip to India! Steve will join Chris Coleman, Peter Erskine, Gavin Harrison, and Dave Weckl at the 5th annual Drum Fantasy Camp. The camp will take place August 11-15, 2011, at the Hyatt and House of Blues in Cleveland, Ohio. This will be the fourth time Steve has taught at the camp. He and the other instructors will run small classes (15 to a class), nightly jams, and take part in a concert at Cleveland's House of Blues. People of all ages and playing levels attend the camp. 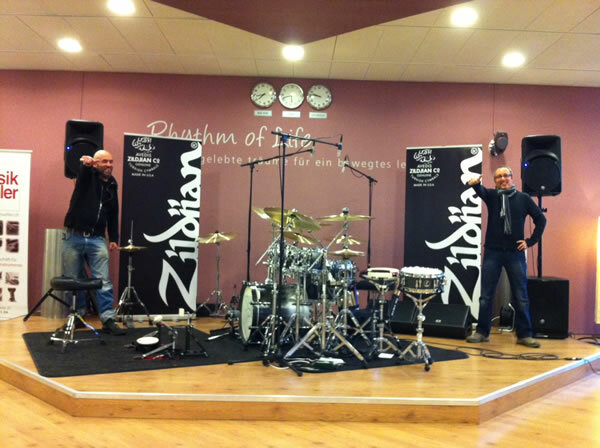 Find out more at www.drumfantasycamp.com . 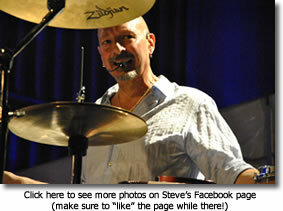 On January 8, 2011, Steve performed at the Guitar Center Drum Off in Los Angeles. Steve kicked off by performing "Salt Peanuts" with Jeff Hamilton. He then played a wicked Drum 'n Bass duet with Jojo Mayer. 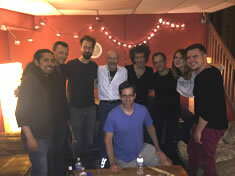 After a drum solo, Steve was joined by an all-star group of musicians including: George Brooks, Kai Eckhardt, Fareed Haque, Pete Lockett, and Mahesh Vinayakram. The group performed several upbeat Indian fusion tunes. Other performances included: a duet with Gavin Harrison and Simon Phillips, Dave Lombardo, and a collaboration with Cora Coleman-Dunham, Tony Royster, Jr., Nisan Stewart, and Trevor Lawrence. 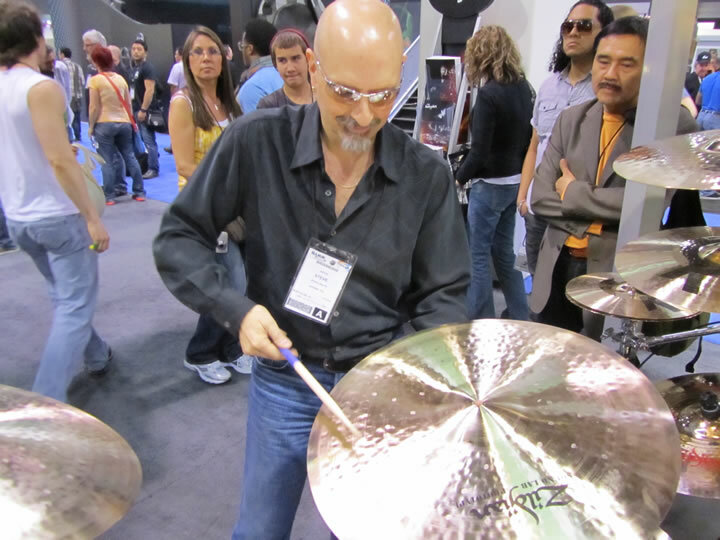 Steve attended the 2011 NAMM Show in Anaheim, California. 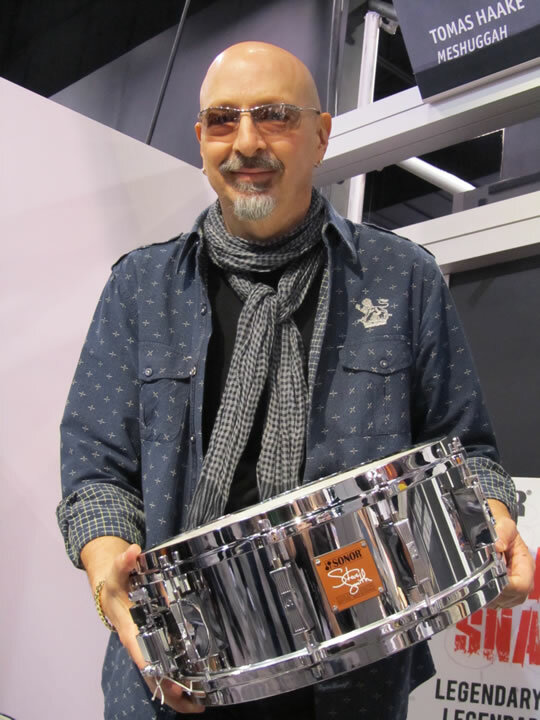 He attended signings for Sonor, Remo, and Samson, and also attended a "lifetime achievement" presentation to Freddie Gruber.